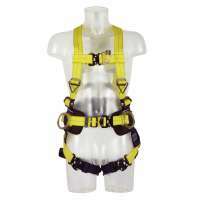 Capital Distributor: Manufacturer Trained Supplier of Capital Safety Products. Capital are a global leader in fall protection and the company has made it a priority to provide their customers with state-of-the-art fall protection systems and fall arrest equipment. As a company they pride themselves on having more patents, engineers and industry innovations than any other fire protection equipment manufacturer in the world. Their two most well-known brands of DBA Sala and Protecta, have recently been added to when they acquired Python safety. 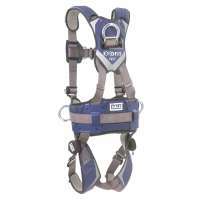 Capital safety have an impressive range of products including fall protection kits, lanyards, self retracting lifelines, Flexiguard access systems, anchorage connectors, horizontal systems, load arrestors, vertical systems, confined space & rescue systems, full body harnesses, I- Safe RFID tracking systems and rescue and descent systems. 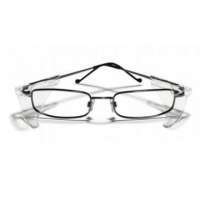 Their safety products are used the world over in many industries including construction, mining, oil and gas, transportation and energy industries, just to name a few. Capital safety have product support both online and real world and they offer a range of support tools including documentation, video, a digital library and harness sizing charts as well as their online Òask a questionÓ search box on their website. Capital safety offer a range of training and consulting services ranging from open enrolment courses to specialist courses tailored to your particular trade or work environment. As well as a full range of fall protection training, fall arrest and industrial rescue courses are available at its dedicated training centres all over the world for on-site training and consulting services.